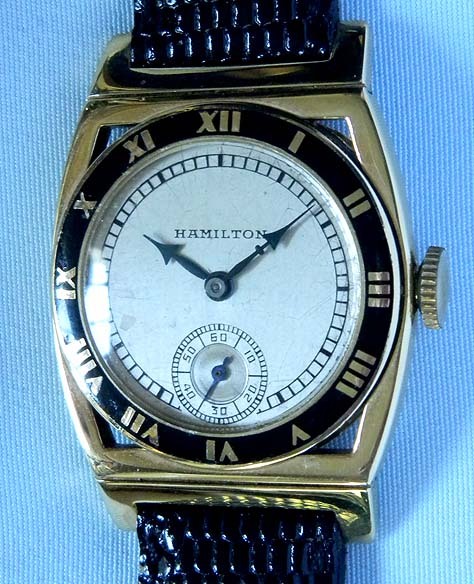 Fine Hamilton 14K yellow gold and enamel Art Deco Piping Rock vintage wrist watch circa 1933. 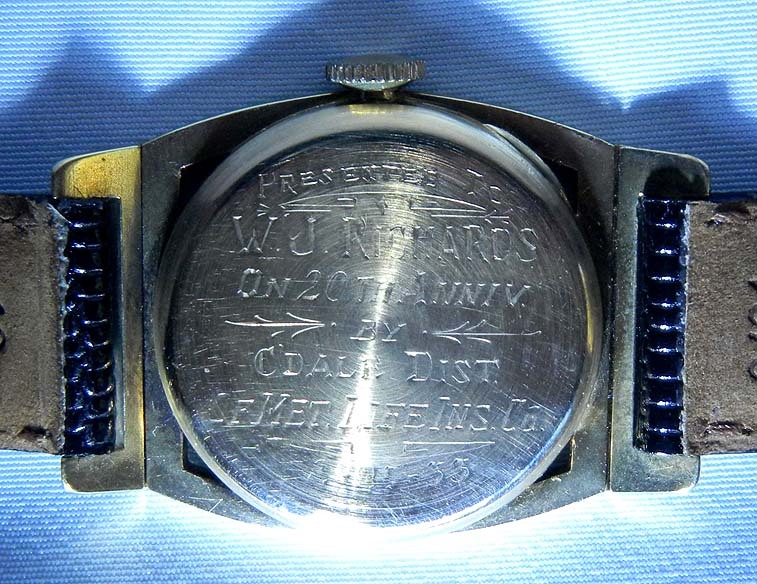 Original silver dial with black hard enamel markings and blued steel hands. 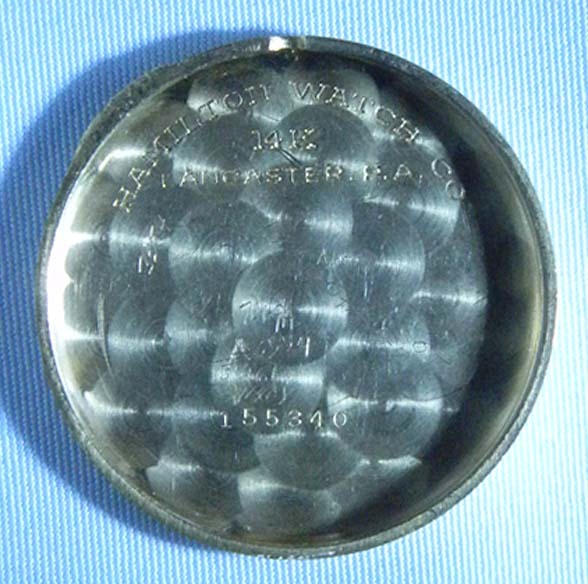 Yellow gold open case with flexible lugs and black enamel bezel with typical signs of careful use. 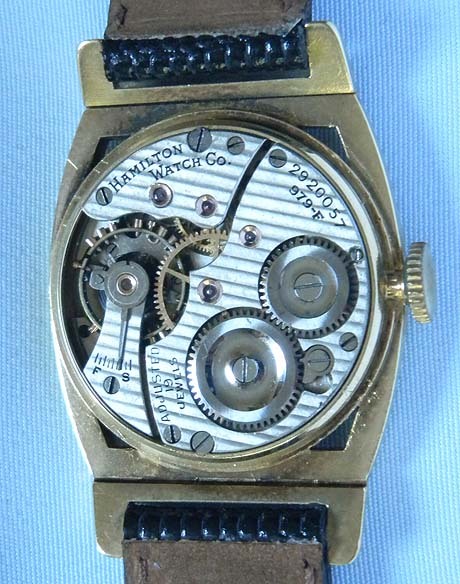 Nickel 19 jewel calibre 979 movement.